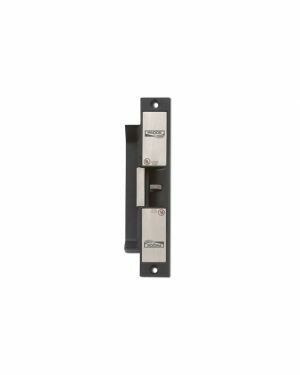 Connection of an electronic strike to your door will enable your security system or intercom the ability to open this door remotely via a door opener on an intercom or an alarm system. There are several types of electronic strikes and configurations. Fail Secure - will remain locked in the event of a fire, usually a door knob can still be used to open the door in this event. Electronic locks vary in size and brand. Size of the faceplate, length and width.